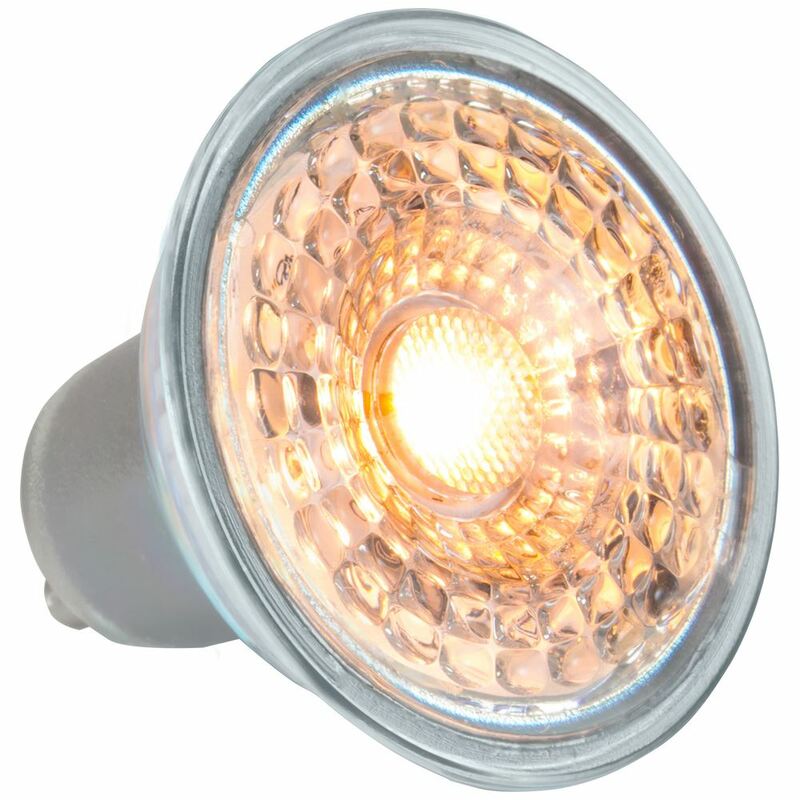 Dimmable energy efficient LED retrofit GU10 lamp with sunset dim technology. Features Sunset Dim technology; as the lamp is dimmed the colour temperature becomes warmer to recreate the cosy feeling of a traditional halogen lamp. The lamp changes colour from 3000K warm white at full power to 2200K extra warm white when dimmed to 10%. 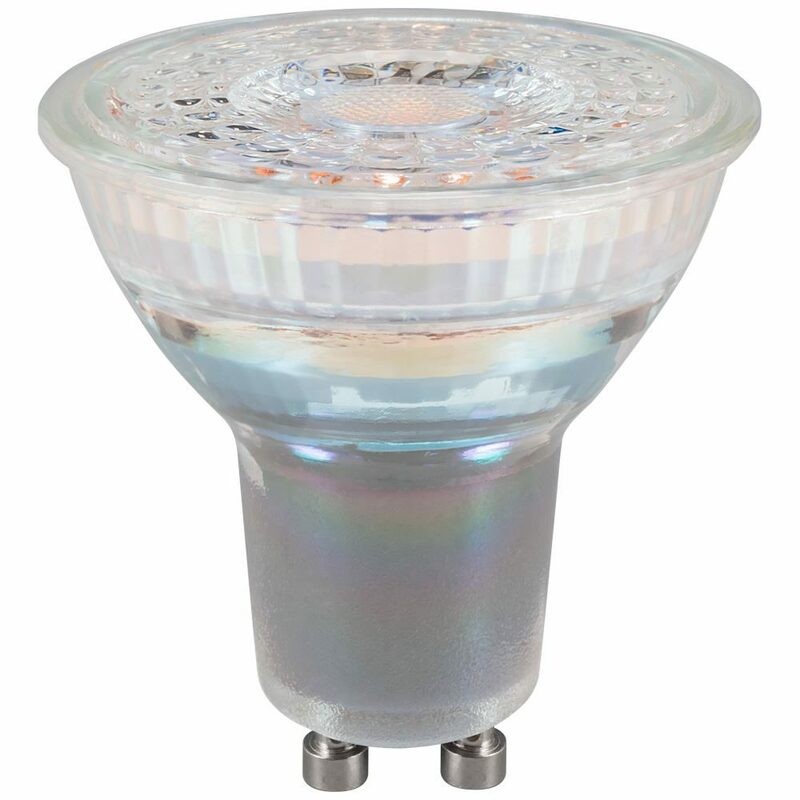 Ideal for bars, hotels and restaurants to create ambience and mood lighting. Approximately equivalent to a 50W Halogen GU10 lamp. Suitable for use in fire rated downlights. 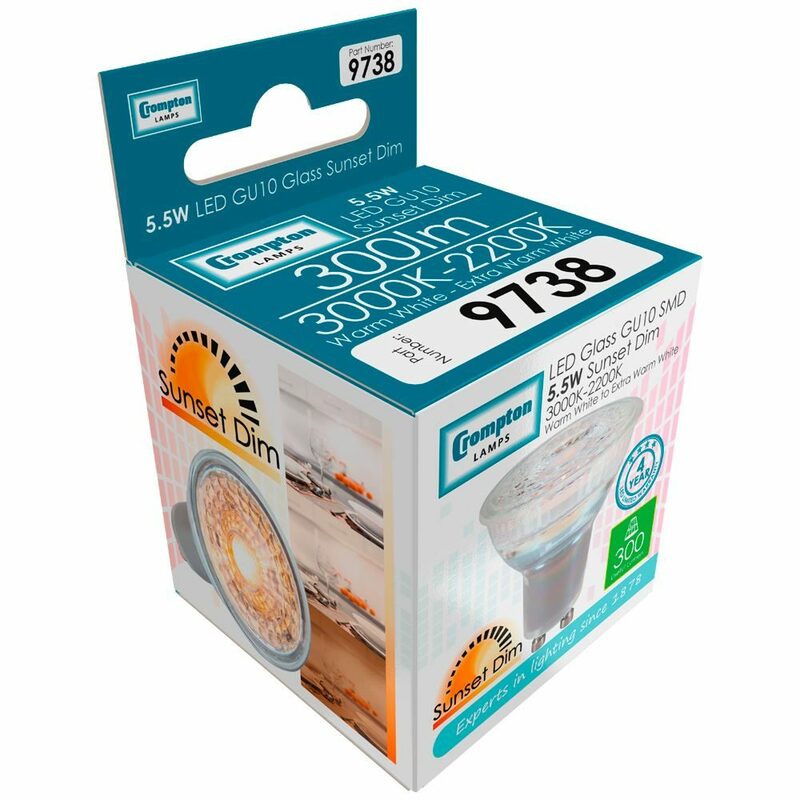 Suitable for fire rated downlights. The lamp is compatible with most dimmer switches, please refer to website for up-to-date list of compatible dimmer switches.